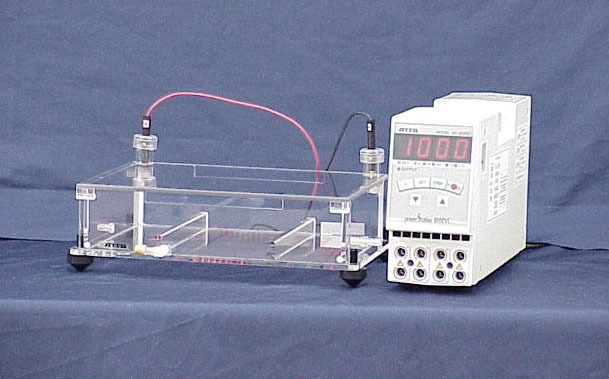 Electrophoresis use power supply. 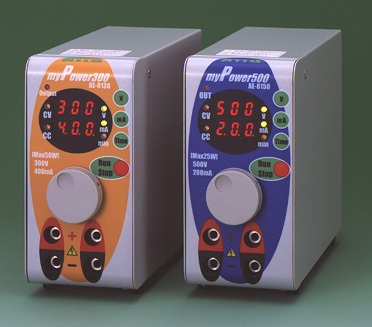 Up to 1000V constant voltage, up to 500mA constant current, up to 1000-minute timed run and automatic crossover (in addition, AE-8750 offers 200 Wattage constant output), 10 sets of voltage-current-time conditions, programmed, stored and easy accessed. Safety-protective automatic output shutdown to prevent operations from electric hazard. 2.5Kg light compact design. Easy to operate control panel with large and bright 4-digit LED display to read either set or actual conditions. Convenient output pause function for temporary interruption or resetting. Minimized electrical noise for other lab instruments. Power failure protection. 7cm wide, 14.8cm high and 21cm deep small compact and lightweight electrophoresis use power supply. AE-8130 myPower 300, providing 300V and 400mA constant output with automatic crossover, suits horizontal agarose electrophoresis, semi-dry blotting and PAGE with up to 50VA output. AE-8150 myPower 500, providing 500V and 200mA constant output with automatic crossover, suits PAGE, horizontal agarose electrophoresis, mini semi-dry blotting with up to 25VA output. Up to 999 minutes timed output with alarm buzzer. User-friendly simple and easy operation. 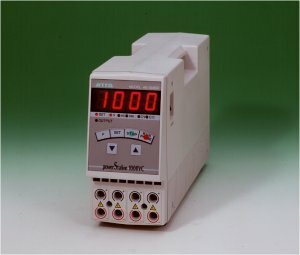 2-line, 3-digit meter allows reading either set or actual voltage, current and time, during output. Convenient, dual power outlet in parallel. Safety shutdown against short and open circuit. 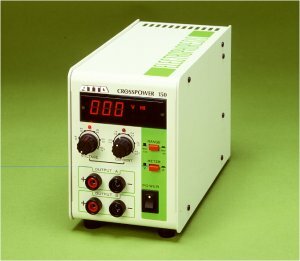 Power supply for electrophoresis in which the output of up to 3000V voltage is possible . Up to 3000V constant voltage, up to 300mA constant current, up to 300W constant output, up to 99999-minute timed run and automatic crossover. Safety design. As it offers wide range of voltage, current and wattage, it suits disk, mini-slab/slab PAGE, submerged agarose electrophoresis, SSCP, IEF etc. 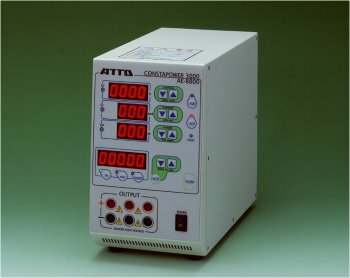 Power supply equipped with "Crossover ability" and it has the large current specification in which the current output up to maximum 4A is possible. Output ranges are up to 150V and up to 2A, or up to 75V and up to 4A . Automatic crossover function to lessen heat interference to separation, damage to gel and danger to operator. Reliable output stabilized against variations in voltage, load and temperature. It suits for the cases needed large current with relatively low voltage, such as submerged agarose electrophoresis, semi-dry blotting in large gel format and Tank blotting. Gel documentation system consisting of a high sensitivity monochrome CCD camera, a various functions camera controller and a shading cabinet. Real-time photography of a sample is possible. There are two types of camera controllers, the one has picture saving function to Floppy Disks, the other dose not have. The shading cabinet is chosen from four types (FX type: good at gel extraction and easy handling, CX type: provided with light inside, DX type: small and low price, stand type: used in darkroom ) according to the purpose of use, the kind of sample, and the size of gel and cabinet. 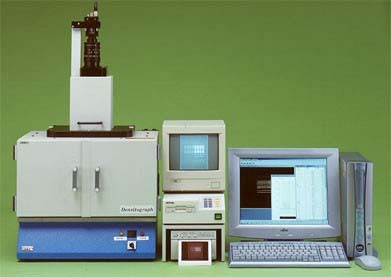 System which photos and saves electrophoresis gel patterns, and performs quantification from a stained image using picture analysis software. 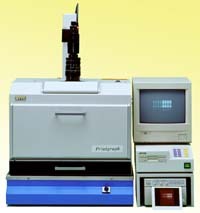 It's constituted of "Printgraph", a personal computer (Windows), and analysis software. Molecule-weight-presumption from the position information of molecular weight markers by "Zone-densitometry" method is possible. Concentration quantification from the acquired accumulated value by measuring the band is possible. Plural spot quantification of 2-dimensional electrophoresis patterns is possible by the method of "Spot measurement". Dot-blot patterns arranged regularly can be measured at a time by the method of "Plate measurement". Designed to minimize operator's load as well as to provide higher reproducibility with technical consistency, by automating staining routines. 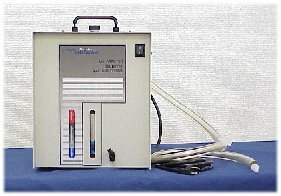 Operation programmable for staining with reverse stain or silver stain, for staining and destaining with dye stain or ethidium bromide, for staining of blot membranes, and various staining techniques. Up to 9 files to program and store your staining protocols. Up to 20 steps per file to program a series of procedures. High sensitivity band detection reagent kit after gel electrophoresis of protein and nucleic acid. Easy handling and the dyeing processing time is 50 - 55 minutes. The reagent includes pure water and four kinds of liquids. One dyeing reagent kit can dye about 50 mini-gels. 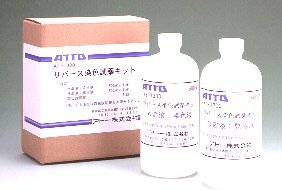 High sensitivity and high speed band detection reagent kit after gel electrophoresis of protein. sensitivity of coloring is 10 times higher than conventional ones. Detection time is about 20 - 25 minutes. 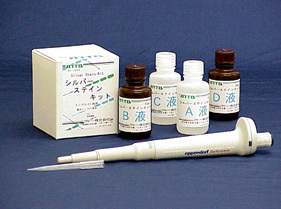 A reagent includes pure water and three kinds of liquids. One dyeing reagent kit can dye about 50 mini-gels. Dual-Heater Gel Dryer. 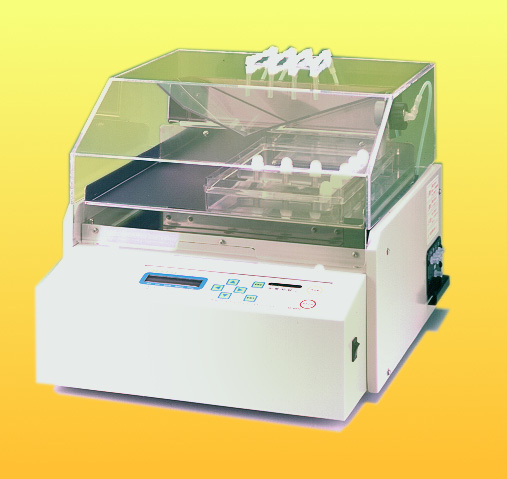 It has a 45 x 38cm wide gel drying area, which accommodates 1 or 2 sequencing gels, up to 6 PAGE gels, or up to 12 mini PAGE gels to be dried simultaneously. Dual-heater (one in the lid and one in the base) affords rapid drying and ensures even heat distribution. It provides 40 to 80°C temperature adjustment. 3-speed initial-temperature-rise selectable for delicate gels. Up to 540 minutes timer. Simple and easy operation. Gel drying area : 20 x 19cm. Dual-heater (one in the lid and one in the base) affords rapid drying and ensures even heat distribution. Compact, easy-to-operate design. 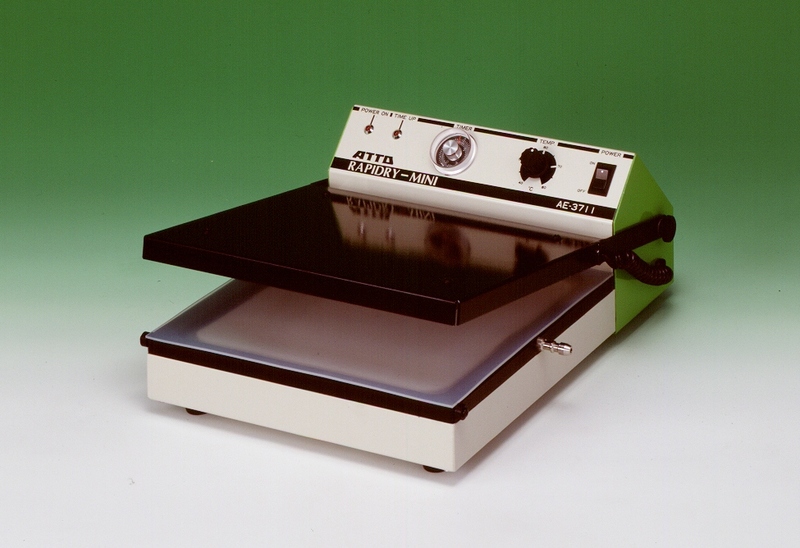 Fluoroplastic-coated heat panel. Full protection against overheat. 40 to 80°C temperature adjustment. Up to 180 minutes timer. The vacuum pump for gel dryer. It's connected directly to a gel dryer with a connecting tube, and absorbs. It is not necessary to connect other traps such as a cooling trap. Easy handling, maintenance and space-saving because of compact design. 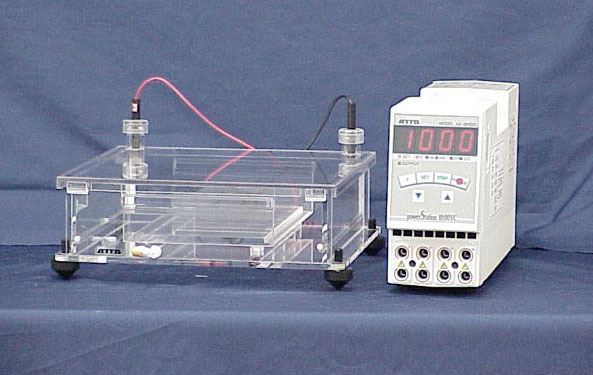 A basic set of mini slab polyacrylamide gel electrophoresis of protein and DNA. You can start your experiment immediately after getting this system with precast gel. 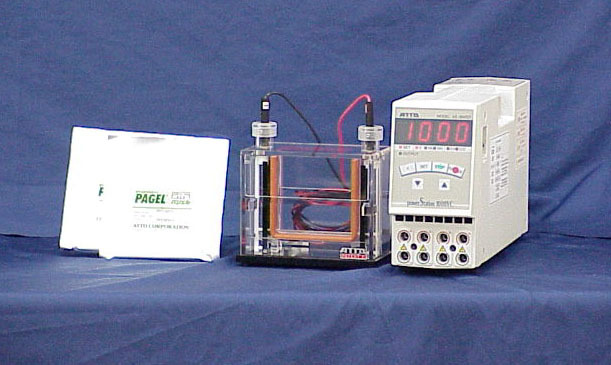 Agarose electrophoresis using large gel with the width of 20cm and 21/42 samples for separation of DNA or the analysis of PCR-amplified fragments. PAGE with the gel size of 18x20cm for SSCP or differential display or nucleic acids.